There are so many different types of tummy tucks now there is an option for vitually every patient. Thirty years ago there were only a couple of abdominoplasty choices; now the possibilities include standard, mini's, extended, circumferential, reverse, fleur-de-lis, combinations and more. Most women who have had a number of children resulting in loose abdominal muscles and excess skin are candidates for a standard tummy tuck where excess skin is removed from just above the belly button and the rectus muscle is tightened in the midline from the breast bone to the pubic bone to help flatten the abdomen. A mini-abdominoplasty generally involves some liposuction of the abdomen, removing excess skin from the lower abdomen and rightening jus tthe lower abdominal muscles from the umbilicus to the pubic bone. The scar is tupically shorter and lower than with a full tuck and less skin is removed. 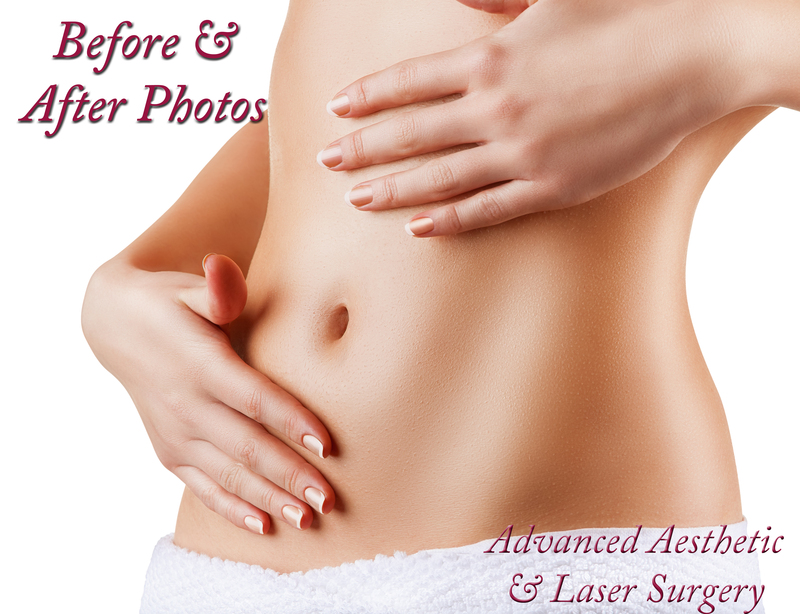 This procedure mostly improves just the lower abdominal contour. As the name implies, a circumferential abdominoplasty, also known as a lower body lift, removes skin from the lower abdomen, flanks and lower back. The abdominal muscles are generally tightened as is done with a full lift, however considerable more skin is removed. This procedure is typically in patients who have lost a considerable amount of weight. The fleur-de-lis tuck is also performed in patients who have had massive weight loss. This procedure combines a standard tuck with removing an inverted "V" of skin from the abdomen to tighten the trunk both vertically as well as horizontally. The downside to this procedure is the long midline abdominal scar. A reverse tummy tuck removes skin from the upper abdomen; pulling the skin upwards instead of down. Muscle repair is not normally done with a reverse tuck and most of the incision is hidden in the breast inframmary creases. The procedure is often done in patients who have already had a standard tuck or mini-tuck but have residual excess upper abdominal skin. A modified version removes less skin and leaves two separated scars under the breasts without combining them. Almost all of the above procedures can be combined with one abother in the right patients.